April 12, 2018 — After a Valley News Live investigation highlighted more mail problems within the city of Fargo we are told that action has been taken against an employee. 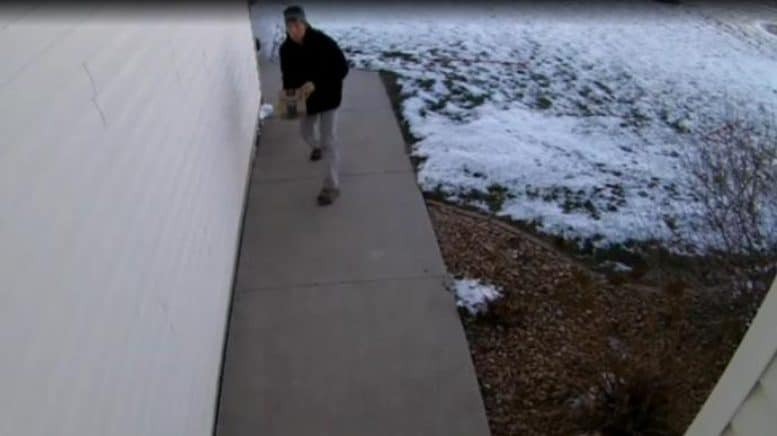 We’re told administrative action was taken against the letter carrier seen in the video for getting caught tossing a package onto a porch in the Fox Run neighborhood. Postal service spokesman David Rupert declined to say what action had been taken instead he apologized in a written statement which you can see below. We also specifically asked Rupert what the postal service was doing to improve mail delivery in south Fargo and West Fargo but he refused to answer the question. “Thank you for giving us the opportunity to respond. The Postal Service strives to always provide the best possible service to its customers. Our carriers are trained to deliver packages in a responsible, efficient manner. As information, customers with concerns about their mail service are encouraged to reach out directly to the Postal Service. Whenever we become aware of service issues, we promptly investigate and work with customers to resolve their concerns. I don’t understand this, I treat my customers packages as if they were mine. What is an extra 5-10 seconds to deliver?!? My carrier Trisha Pratt whom I trained and my sub Michele Griffin Kinney whom I also trained also treat the packages the same way. Too many security cameras these days plus even before them, I always taught my subs treat them as you want your packages delivered. Case closed. Everyone is happy. So a clerk can throw a box 20 feet while sorting in the am, but a carrier throws same box 10 feet while delivering and everyone looses their mind?? 30 seconds to travel 1mile round trip, follow USPS parking policy, traverse any matter of terrain, deliver parcel and return to line of travel……. This is the last time that package was tossed. It had already been “tossed” by the clerks at least a dozen times before it got to the carrier. But it didn’t happen because it wasn’t caught on video.